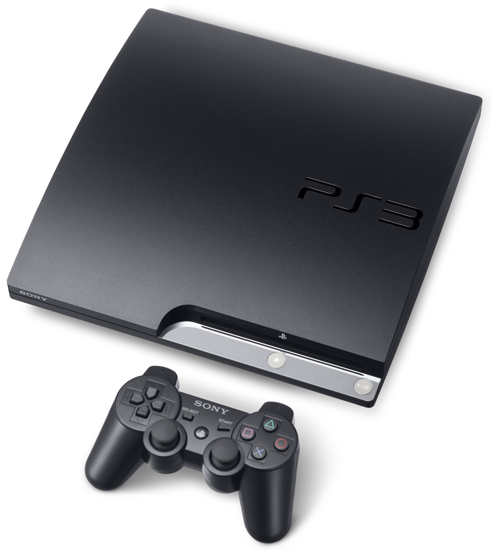 As with previous models, the PlayStation 3 320GB system features an IBM “Cell” processor and a co-developed NVIDIA graphics processor that together allow the system to perform two trillion calculations per second. Yet the 320GB system manages to improve on this with its 45nm version of the processor, which although running at the same 60+nm speed as previous PS3 versions, uses less energy. This makes the unit’s smaller size and quieter fan possible. Along with the traditional AV and composite connections, the 320GB system also boasts an HDMI (High-Definition Multimedia Interface) port, which delivers uncompressed, unconverted digital picture and sound to compatible high-definition TVs and projectors. (The system is capable of 128-bit pixel precision and 1080p resolution for a full HD experience) This console also provides for an extreme sound experience by supporting Dolby Digital 5.1, DTS 5.1, as well as Linear PCM 7.1. Finally, it features cross connectivity with your PC network and PlayStation Portable (PSP) and its pre-installed, 320GB hard disc drive allows you to save games as well as download content from The Internet. Unlike The some other models of The PlayStation 3, The 120GB system does not offer backwards compatibility. 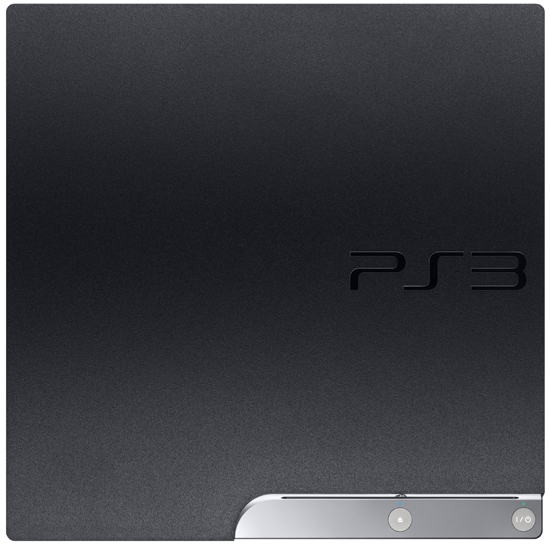 PlayStation 3 utilizes The Blu-ray disc media format, which gives you The best high-definition viewing experience on your television, by way of The format’s ability to hold six times as much data as traditional DVDs. This tremendous capacity, combined with The awesome power of The system’s processor and graphics card, promises an endless stream of mind-blowing games, and other multimedia content. This doesn’t mean though that The PS3 is limited to Blu-ray discs. It also supports CD-ROM, CD-RW, DVD, DVD-ROM, DVD-R, DVD+R formats. In addition, PlayStation 3 system software includes BD Live support that allows you to play discs that support Blu-ray Disc Profile 2.0 (BD-LIVE), meaning you can also connect to The Internet while playing discs that support this format to obtain additional features. And of course PS3 owners also receive free access to The PlayStation Network (PSN), where through The PlayStation Store and PlayStation Home, they can download games, game demos, movies, and other content, as well as chat with friends, play mini-games, compete in tournaments and explore dedicated game spaces. The Dualshock 3 wireless controller included with The PlayStation 3 320GB system provides The most intuitive game play experience, with pressure sensors in each action button and The inclusion of The highly sensitive Sixaxis motion sensing technology. Each hit, crash and explosion is more realistic when The user feels The rumble right in The palm of their hand. It can even detect natural movements for real-time and high precision interactive play, acting as a natural extension of The user’s body. Dualshock 3 utilizes Bluetooth technology for wireless game play and The controller’s detachable USB cable to seamlessly and automatically charge The controller when connected to The PlayStation 3. By integrating all of these features into The popular PlayStation controller design, The Dualshock 3 further enhances The advanced gameplay experience only available on The PlayStation 3 system. The PlayStation 3 320GB system features HDMI + Bravia Synch functionality. Bravia Synch allows connectivity between Sony HDMI products, without having to utilize multiple remote controls. This means that with The push of one button users can control compliant Sony devices connected to your PS3 via HDMI cable. 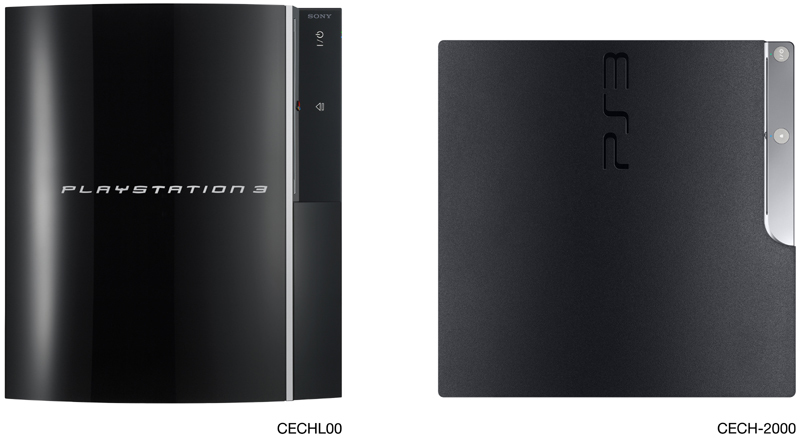 New slimmer and lighter PS3 system with a 320 GB HDD, Internet-ready built-in Wi-Fi, 2 USB ports and HDMI + Bravia Synch output for 1080p resolution and connectivity between other Sony HDMI products. (Read Only)Maximum Read SpeedBD 2x (BD-ROM)DVD 8x (DVD-ROM)CD 24x (CD-ROM)USB Ports2Backwards CompatibilityNoDimensions13.385″(w) x 13.385″(h) x 6.299″(d)WeightApprox. 7.05 lb.